Matthew’s 22 years of experience in the wine industry includes retail ownership, as well as restaurant and wholesale management. His thirst for knowledge drove him to compete against some of America’s best sommeliers at several sommelier competitions, and in February 2002, Matthew became a member of the prestigious Court of Master Sommeliers. His passion for service and education led to the creation of The Winementor, Ltd; focused on bringing honor back to the art of service through a series of training seminars geared toward motivating and educating wait staff. Currently, Matthew is the Statewide Fine Wine Sales Manager for a local wholesaler, and is the Vice Chairman for the Court of Master Sommeliers where he has helped create and implement a new exam level titled “Certified Sommelier”. 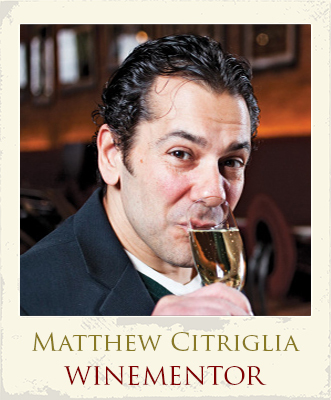 As well, Matt is asked regularly to speak and lecture on a variety of beverage topics; helps coordinate and administer the Court of Master Sommelier exams, is a judge for the National Mondial Young Sommelier Competition; mentors numerous students trying to pass the MS exam; and has created a innovative online e-learning server training program. I do not look at waiting tables as a temporary job but a serious career choice. Let me retrain your wait staff and management team and motivate them to achieve a higher degree of professionalism.